Welcome, welcome, welcome to my blog. Leigh Young is my name, although often my comments are under “Humor after 50”. Those ideas you have budding in the corners of your mind, the fears and chills you have hidden away in the shadows. I would love to help you bring them to light. I'm sorry I went a little berserk with this, Leigh. Am excited to read it! I have to sweat this. I love the topic Leigh. 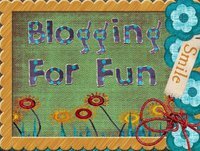 I probably won't get posted until Sunday--but I will be posting :) Thanks so much for being our Host of the Day for BlogFEST 2012!! You Rock!! Happy Birthday Leigh. Hope you have a wonderful day and year. Tough one for me, But very good topic!! Yikes, Leigh! Some of these are downright creepy! Mine is a little "lighter." You can check it out here: http://afulldegreebelownormal.wordpress.com/2012/10/15/no-more-the-shadow-child/. This certainly wasn't an easy topic. Congratulations on presenting us with a terrific challenge. Had to reach for a "dark" shadow on this post.. It was difficult for me to put into words.. Great topic. I am a few days behind as you can see, but this is a great topic! !